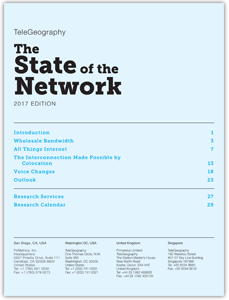 That is the question we asked when we set out to create our first-ever State of the Network Report. Our research at TeleGeography spans all corners of modern communication—from point-to-point backbone telecom pricing and bandwidth supply to international long-distance and the SD-WAN market. However, no one report or research service painted a complete picture of where telecom is today and where we believe it is headed tomorrow. To do this, we turned to four of our core products: Global Bandwidth Research Service, Global Internet Geography, Colocation Database, and the TeleGeography Report. 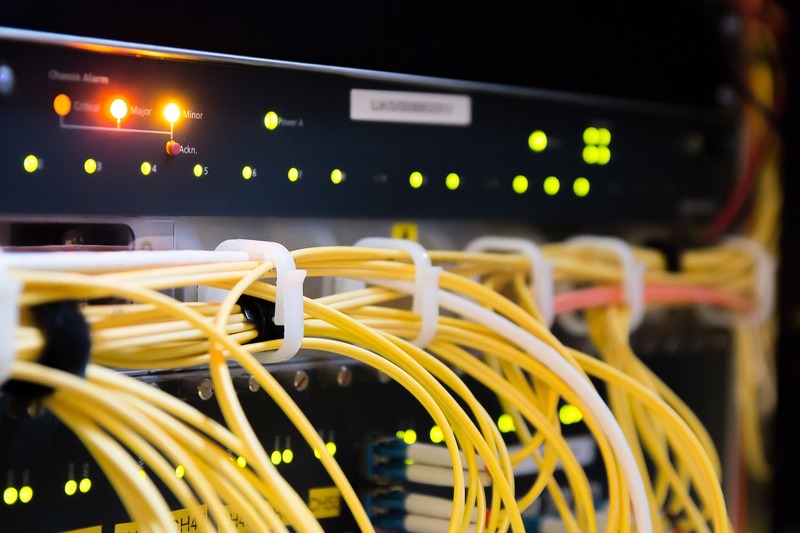 We combined our key findings from each of these distinct products to better understand how international bandwidth, internet, colocation, cloud, wide area network, and voice are evolving and impacting one another. We combined our key findings from each of these distinct products to better understand how international bandwidth, internet, colocation, cloud, wide area network, and voice are evolving and impacting one another. In this e-book you’ll find four chapters, each dedicated to a different aspect of modern telecom. These chapters are designed to provide an overview of the information contained within the four core products sampled, but also to connect to one another and provide a proper snapshot of how the world is connecting and communicating in 2017-2018. We’ve also provided a bonus chapter that focuses solely on our predictions and outlook for the market over the next few years.